A debut novel is always an exciting event, and it's been very cool and inspiring to see DC Edwards break into the spotlight. 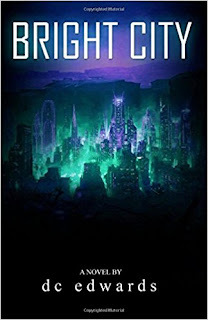 "Bright City" is a post-apocalyptic tale of intrigue and adventure, but separates itself from other books with similar descriptions in some surprising and powerful ways (which I won't spoil here). Its listed genres are "new adult" and "urban dystopia," and as much as genre labels don't always work, those two actually feel really appropriate. The world-building, in particular, is powerful. This is a vision of a future USA that is fantastical, weird, and very sci-fi, but also deeply connected to our world-- especially in terms of how the book explores exploitation, colonialism, commodification, and solidarity. I also like how elegantly the book takes on these issues- they're organically woven into the DNA of the story; so the politics of the book are bold and direct, but always in service of the story. 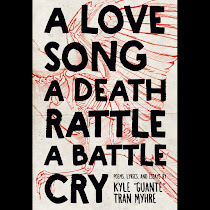 Bao is one of the reasons why I'm able to do this work, both in the concrete sense of opening doors and creating platforms for others, and in the more intangible sense of just being an inspiration and a fierce writer and thinker. He's got a kickstarter going now to bring his new book to everywhere it deserves to be. Please check it out. 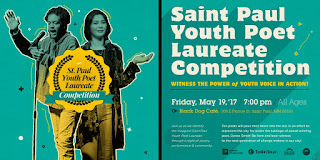 Speaking of youth poetry stuff, our big Spring event is on May 19 at the Black Dog Cafe in Saint Paul. 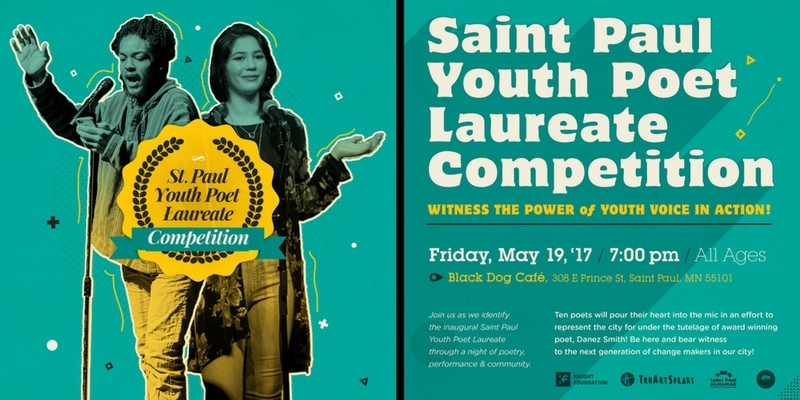 This is the first-ever Saint Paul Youth Poet Laureate competition, and the actual event is a slam featuring the ten finalists. As always, the competition is more just a way to showcase the great work that people are doing. Get the details here. Some exciting stuff on the horizon. Thanks for reading.